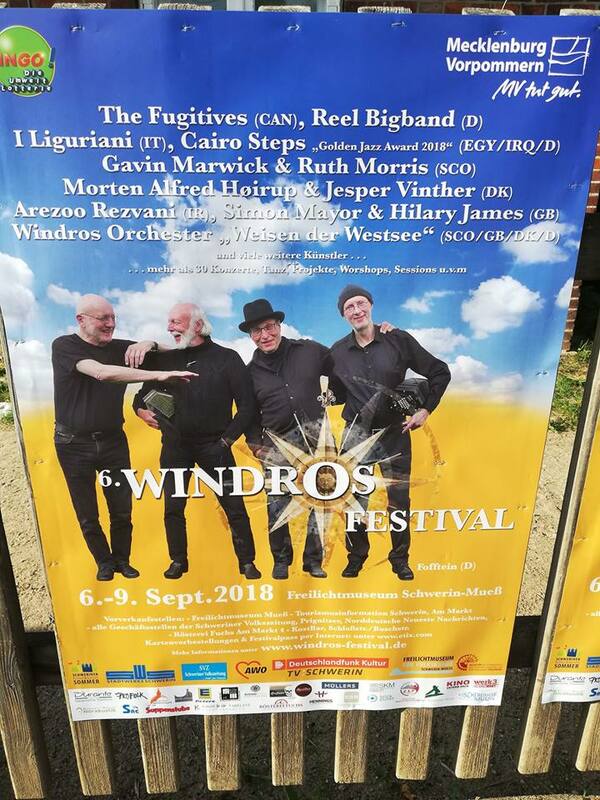 I am looking forward to be on stage at Windros Festival on Saturday night where I’ll be singing – amongst other – a few songs backed up by a large band of international musicians, put together for the occasion. 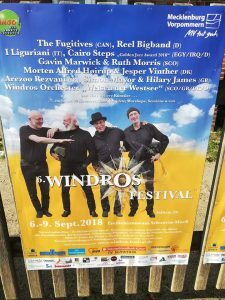 On Saturday September 8th 2018, I am performing a couple of concerts at the little exclusive Windros Festival in Schwerin-Muess, about one hours drive from Lübeck in the Northern part of Germany. The name of the festival is Windros Festival – “Weisen der Westsee”. 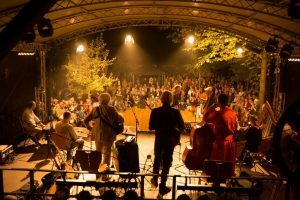 From September 5th to September 8th a number of invited musicians from different countries, are following the tradition by joining up to perform individual concerts at the festival, while at the same time spending a few days rehearsing for the final concert on Saturday night, where they all go on stage to entertain the festival audience. For me it is a special festival as I get to perform with Jesper Vinther – a great accordion player also known from the Danish band Phønix – for the very first time. Jesper and I will be playing a our special blend of traditional Danish music, old Danish songs and newly composed music – all arranged for accordion, guitar and vocals. It is going to be really exciting to perform with Jesper, it is actually kind fun how we have known each other for so many years, without playing together. Now we have the perfect chance to do so. I also think that it will be super interesting to get to know the other musicians at the festival, even though it is going to be pretty hectic. We have to rehearse, discuss and – not to forget – choose which songs and tunes we want to use, of all the many good ones that the musicians are bringing for our common set list. The Fugitives (CAN), Cairo Steps (EGY/IRQ/D), Gavin Marwick & Ruth Morris (SCO), I Liguriani (IT), Simon Mayor & Hilary James (GB), Morten Alfred Høirup (DK), Wolfgang Meyering (D), Arezzo Rezvani (IR), Windros Orchester (Intern.) m. fl. « A multicultural meeting in the world of music!